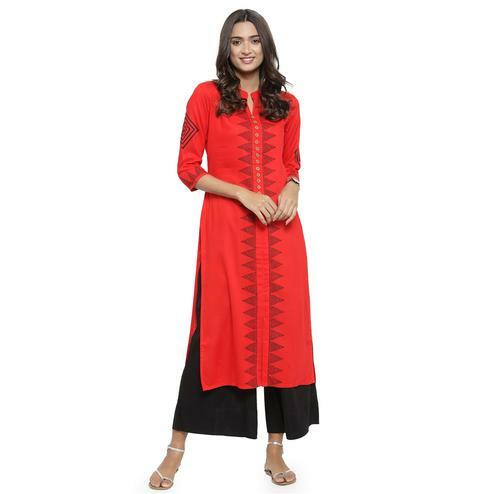 The red kurtis for ladies’ collection at Peachmode is curated keeping in mind all the quality parameters and the nuances of the up and coming fashion trends. 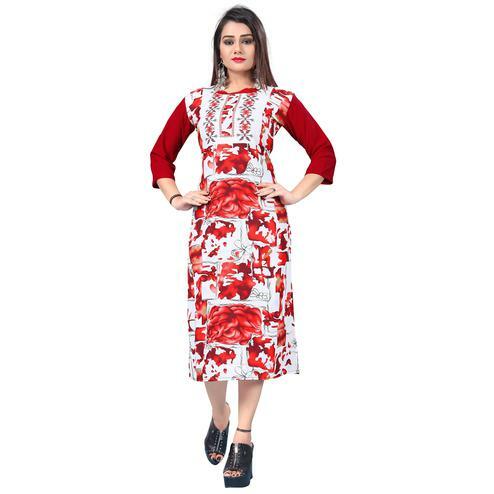 These kurtis for women are available in the choices of long kurtis, short kurtis, mid length kurtis with a series of fascinating styles and patterns. The warm color red is the color of love, emotions and passion. 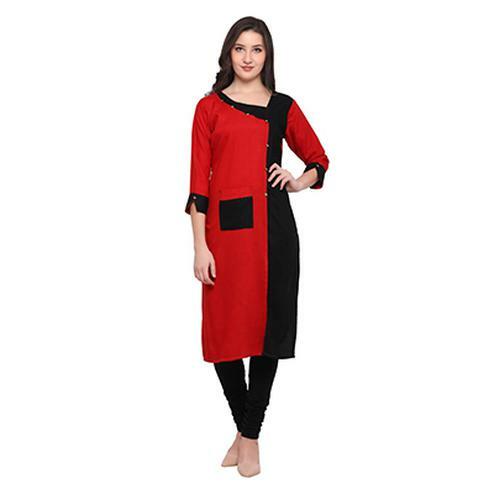 Some studies have proved that red color is effective in raising the human metabolic rate. Red color is also symbolic of importance. 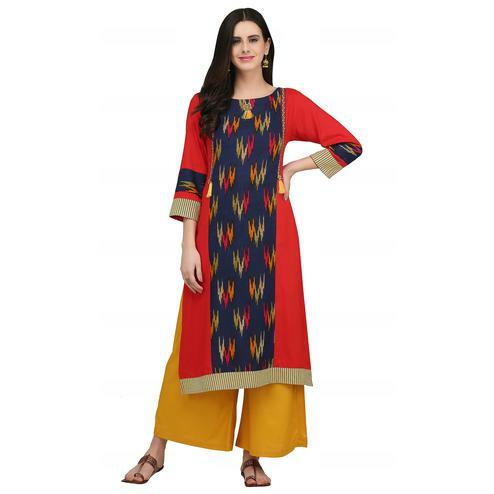 Many consider red color to bring good fortune and a bearer of prosperity and happiness. 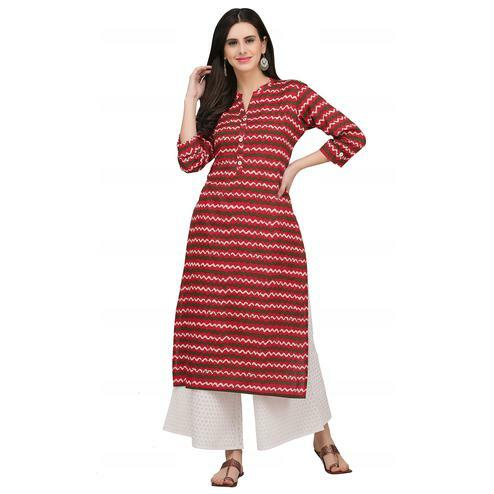 These red kurtis come in an array of fabric choices- georgette, crepe, cotton, rayon, satin, khadi cotton, muslin, poly muslin, linen, handloom, cotton silk, viscose, satin georgette are some of the high quality fabrics on which these lovely red kurtis are modulated. 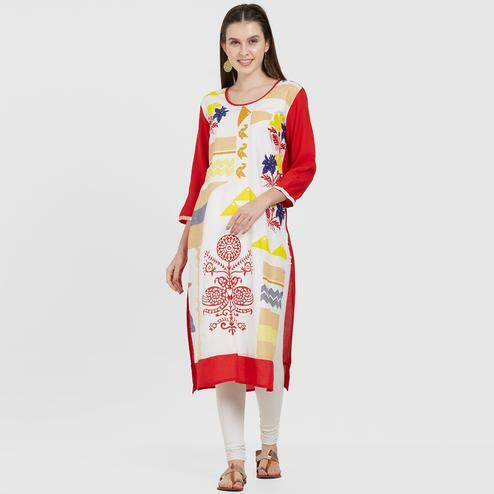 The red kurti designs that we offer at Peachmode are all exclusive. 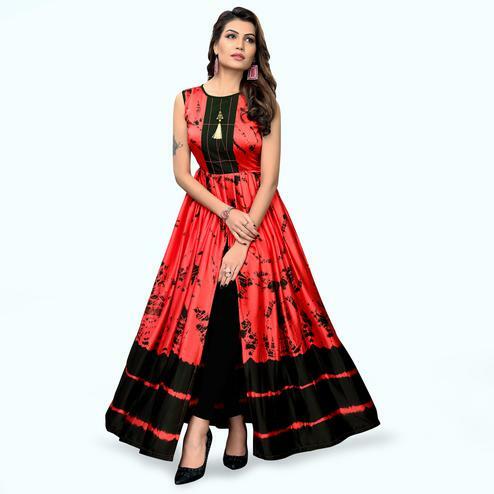 Floral embroidery, handwork embroidery, digital prints, shibori prints, abstract print, checkered prints, traditional prints are among the many stylish designs that are up on our portal. 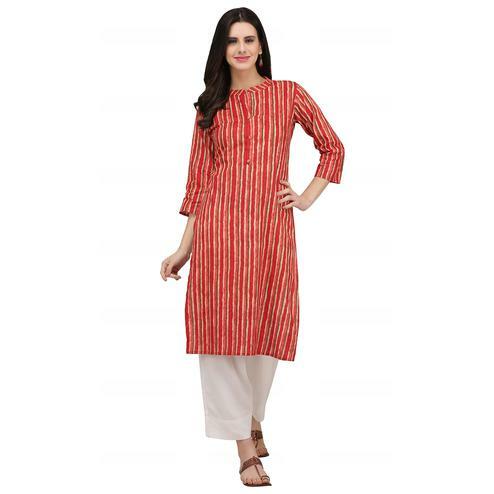 You can wear these red kurtis with palazzo, jeans, jeggings or churidar- whatever suits your comfort and taste. 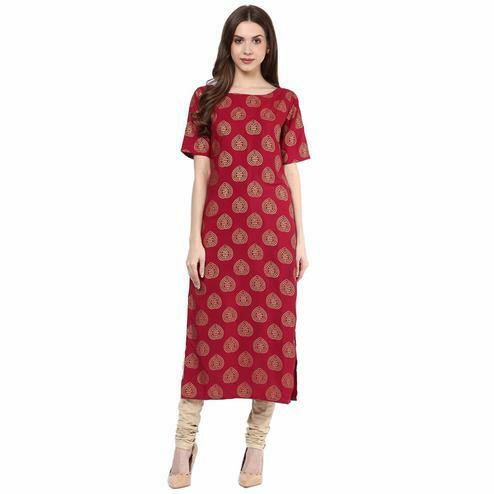 You can also try our dark red kurtis with embroidery work that are aptly suited for festivities. 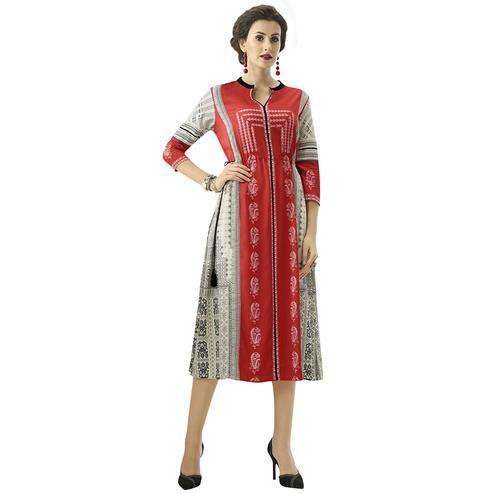 You can also team these red kurtis with jacket to give them a more ethereal touch. 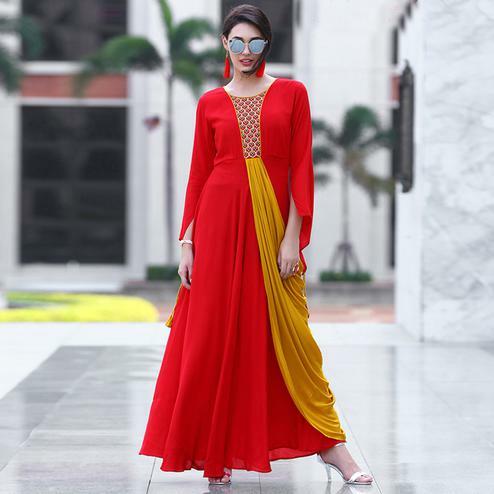 You can also check out our latest party wear kurti collection to sizzle at those family dinner parties or the formal ones. 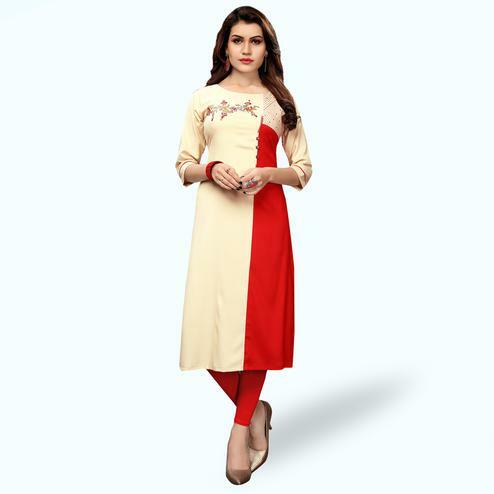 These red kurtis come in attractive combination colors of blue, brown, yellow, white, olive, green, peach, beige, grey and many more. 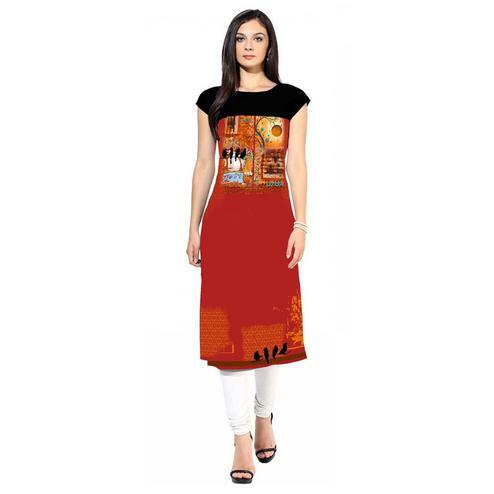 Available in size options of small, medium, large, extra large, double extra large. 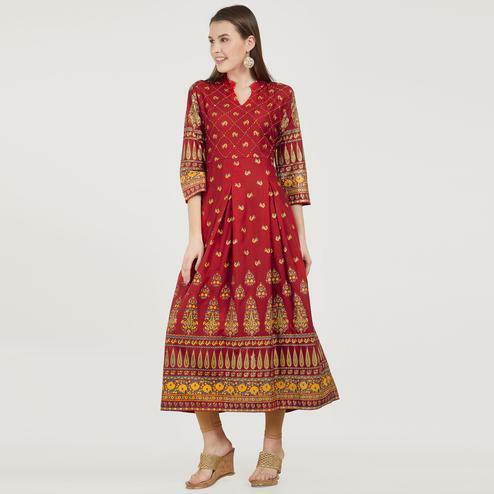 So we have the red color ethnic and contemporary style outfits sorted for you. 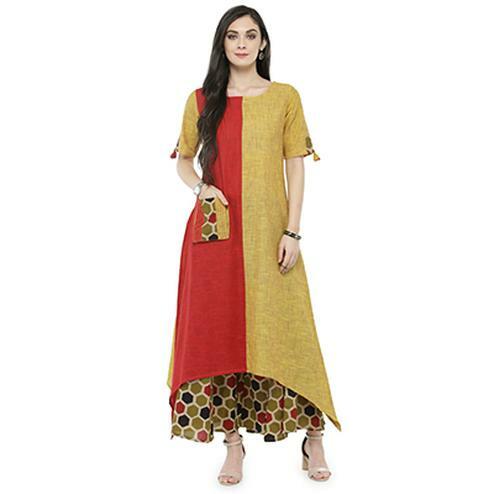 You just need to revamp your wardrobe with these lovely red kurtis from Peachmode and you also get some mind blowing discounts on every purchase.